Behind this casino is HighWeb Ventures. Slotohit was launched 2017 and gets good ratings on reviews but some reviewers complain on the graphics, which are not “super-flashy”. The simple layout with its light gray shade creates a calm feeling. The design is simple but not stressful. What reviewers like is the amount of games. There are around 1500 different games to choose from. The Casino offers Virtual Sports and you have to try it, try archery, it’s really exciting. You get 21% cashback every single day on Virtual Sports. Cashback is paid out as free real money. 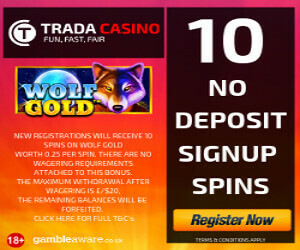 You can also enjoy a good LiveCasino, with Caribbean Stud Poker, Money Wheel, BlackJack, Baccarat, Roulette and more. SlotoHit has a Jackpot-section where you can find the progressive jackpot slot Arabian Nights from NetEnt. A really fun game with Wild and Scatter symbols, and Free Spins. The genie lamp is the Scatter symbol. Poker and Arcade games are also offered. 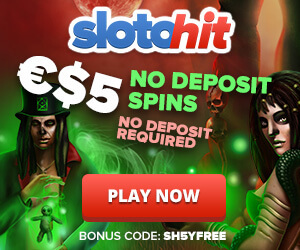 Loyal players get better rewards at Slotohit. 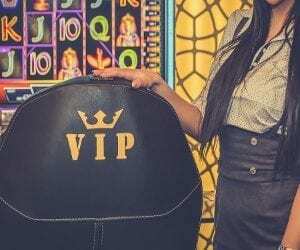 You can find a Vip-club called Hitclub at the casino. Like in other casinos you earn points, here Hitclubpoints by playing games at the casino. If you reach Diamond level you get invitations to VIP-events. The selection with Jackpot games could have been bigger and Yggdrasil games are not offered. Otherwise this casino has a lot to offer. 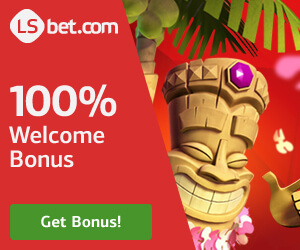 On your first deposit you will get a 200% Bonus up to €200 + 77 Free Spins without wager. The minimum deposit is 10Eur and the wager is on acceptable 35X for the 200% (but no wager on freespins). With the Welcome Bonus you can play all slots under the Casino section on the Desktop version. (On mobile open any slots with the bonus sign on it.) 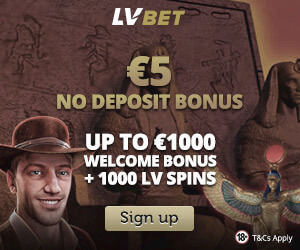 It means that you can have lot’s of fun by only depositing 10Eur. Don’t forget your free sign up bonus on 5€, it’s only available to players from Australia, Canada, Denmark, Finland, Germany, Ireland and Norway. Belarus, France, Hungary, Latvia, Portugal, Singapore, The Kingdom of the Netherlands (Netherlands, Curacao, Aruba, Bonaire, Saba, Statia and St Martin), Sweden, Turkey, Ukraine, United Kingdom, United States. “Due to diversity of software providers represented at SlotoHit, some of the game directories might not be available to additional countries”. Eligible countries: All except Belgium, Cayman Islands, Iran, Iraq, Israel, North Korea, Saudi Arabia, Singapore, United Kingdom, United States of America, and all territories and possessions, being the U.S. Virgin Islands, U.S. Minor Outlying Islands, Guam, Puerto Rico, Marianas Islands and American Samoa, Vatican City. A free signup bonus is only available to players from Australia, Canada, Denmark, Finland, Germany, Ireland and Norway.